It’s almost here! 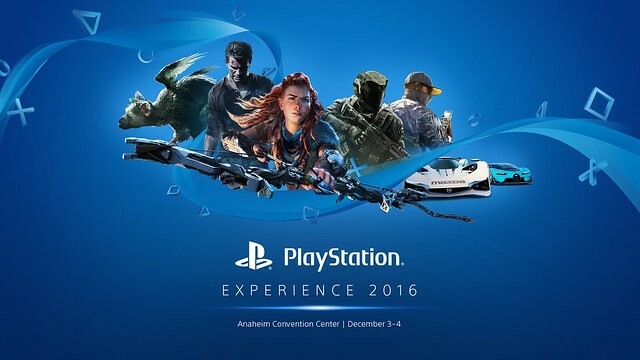 We’re now just five short days away from PlayStation Experience 2016! Whether you’re joining us at the Anaheim Convention Center or you’re tuning in from home, we’ve put together a definitive guide to ensuring you have the best PlayStation Experience possible. For those lucky enough to get badges and attend in person this year, this is important. See below for full details on when and where to pick up your PlayStation Experience 2016 badge — and be sure to bring a valid form of ID when you come to pick it up. Please keep in mind that there is limited space at the PlayStation Showcase, so if you’re interested in attending, we recommend picking up your badge on Friday (the day before) and then getting in line as early as possible on Saturday. Attendees will be let in on a first-come, first-served basis. The line for the Showcase will open up at 12:01am on Saturday, December 3, and you must already have your badge to get in line. To get the most out of the weekend, download the brand new Experience PlayStation 2016 app, available for free on iOS and Android devices. The app will be made available on Saturday, December 3rd, so don’t be alarmed if you can’t find it yet. Plan your weekend with a comprehensive list of activities sorted by date and time. Sync your PSN ID with your badge to unlock exclusive items at PlayStation Store by completing objectives throughout the weekend. Track which exhibitors you’ve visited — and which you have yet to experience — by checking in with your RFID-enabled badge. 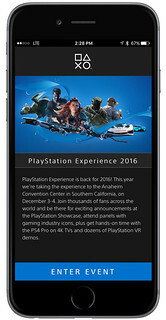 If you haven’t done so yet, be sure to sync your PSN ID with your badge by adding it to your registration at http://playstation.com/experience-tickets. You can also stream PlayStation Experience video programming through Facebook Live Video, Twitch, and YouTube. The Call of Duty World League (CWL) is kicking off the 2017 season with a special invitational tournament at PlayStation Experience. As part of the eight-team invitational, Splyce, Team Elevate, Rise Nation, Faze Clan, Luminosity Gaming, Orbit, Renegades, and Evil Geniuses are scheduled to compete during the first official LAN broadcast of Call of Duty: Infinite Warfare. 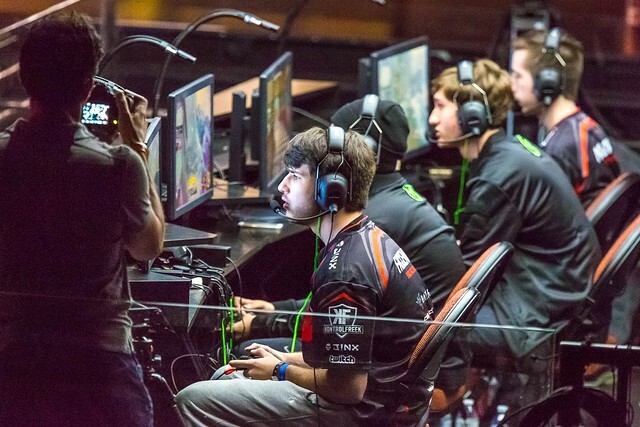 Fans in Anaheim will be able to watch the action live, but if you can’t tune in live, we will be streaming all the action on MLG.tv and twitch.tv/CallofDuty. A few weeks ago we announced that collectible cards are coming back. For those unfamiliar, we have 37 unique cards scattered throughout the show for you to discover. Work together, divide and conquer, and you could have a complete set in your possession by the time Monday rolls around. 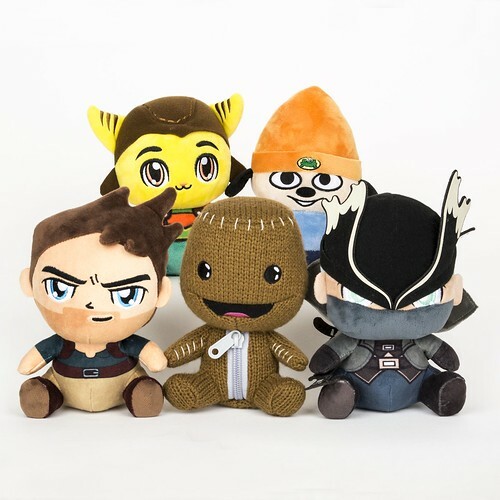 The team has put together a slew of goods that any PlayStation fan would be proud to own. From clothing and collectables to accessories, the PlayStation Gear Store lineup is more stacked than ever. Last year, many items sold out quickly — don’t wait until the last day to get your favorite gear! And be sure to bring a Visa or Mastercard; we won’t be taking cash. And with that, you should have everything you need to have the best PlayStation Experience possible. Don’t forget to check back to PlayStation.Blog for updates throughout the weekend. We can’t wait to celebrate everything PlayStation with you in just a few days — see you in Anaheim! Is this an actual possibility? Or just wishful thinking? It would blow my mind if true. A Marvel 4 reveal is a strong possibility based off of a source that has been right about leaks before. I cant wait for the showcase! Also looking forward to hanging out with Playstation gamers and having a good time. It’s definitely going to be a good show :). See you there! I will be watching it live from europe ! I still don’t understand why you aren’t giving us actual trophies on our profile for completing the tasks. Linking your PSN account is completely unnecessary. All the task tracking is done via the badge and you could link your badge to the app by scanning it or manually entering the badge number. Adding linking your PSN account to the badge really serves no purpose. Now if you gave us trophies on our profile, it would serve a purpose. Please start working on making that a reality for next year. Did you go to the last one? Linking your PSN ID was an easy way to streamline the process of exclusive PSX content like free DLC, games, and other content like avatars. It made it easier to collect our free digital content without dealing with codes that could get lost. To say it serves no purpose is a slap in the face to those who made it easy for us to collect our free items. The collectible cards were a way to bring the achievement hunting to a real life experience. Bringing an online experience to an in-person, tangible collectible item event then making it an online thing defeats the purpose. The app generated PSN codes you had to manually enter to redeem. So no linking your PSN account didn’t do anything. 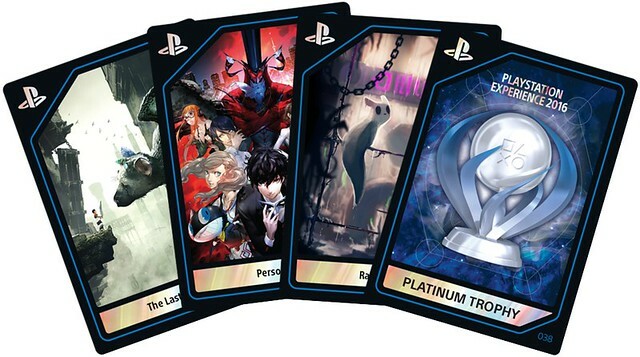 Cards are fine, A trophy printed on a card(that Sony ran out of) instead of an actual trophy on your profile makes no sense. Microsoft handed out achievements for owning an XBone day one. Sony could and should do the same thing for PSX. Why do you want a trophy that nobody will see on your profile? I hope they announce more PS4 Pro games getting patched. Especially Star Wars Battlefront. I’ll be superfly TNT if they don’t. Nevermind I was so hyped I over looked it. Yes the Convention Center, where is a good place to eat? There are so Many places to eat If you’ve never been there I would recommend heading over to downtown Disney, it’s walking distance from the convention but may be far for some. There you will find it all but I recommend heading to Earl of Sandwich great food there. There’s plenty of places to eat. If you choose to walk across the street, there’s the Downtown Disney District. The Jazz Kitchen and maybe Earl of Sandwich are what I’d recommend there if any. However, if you’re willing to drive 5 to 10mins away from the convention center, there’s the Anaheim Packing District. That place is awesome! So many restaurants in one building of different varieties and the food is amazing. I always go there when I’m in the area and that’s where I’ll be heading. If you want a visual of some of the food, check out my Instagram (mr._grubs) and I’ll point you to which images are from there through the dm if you want. For badge pickup just need to bring the confirmation email? Don’t forget to bring a valid form of ID! Also, I will be very happy if one of the surprise Meet and Greets is the voice of Knack! So… No VR support for the Playstation Showcase/Keynote stream? The Game Awards is already on board with this, so I just presumed it was a given for Sony to support its own device by showing off non-gaming content. It is, but the show is likely to be great anyway. Will the “Last Guardian” wall be there again? It was one of the highlights of the show for me! With the game coming out in a couple of days, doubtful. Also the game has another PSX card, So i think a demo will be there. No Socom???? Not worth my time then. so what you are still playing ps2. Yeah I would love me a new burnout 3, Shadow of Colossus, syphon filter, VANQUISH, and more. But lets go to 2017 and just give me new games. instead of remakes of new parts. I would love a last of us 2 but I would love it more if naughty came with a new game. A mix of uncharted and last. I’d like some clarification on badge pickup. Are friends/family able to pick up your badge on your behalf using the confirmation email or other means? Also, how is the capacity of the showcae seating compared to past years? Dunno how early I can make it out of bed to line up…..
You usually have to be there in person with you ID to get your badge. Also you probably want to get there early. last year people lined up at 5am and most showed up at 7am. you also got a PSX card for getting a seat. This year there is a “time to line up” so i expect before 6 you might be safe, but who really knows. The seating capacity wasnt that much last year. Here’s an idea if you’re there Thursday-Friday: stay up all night Thursday and sleep all day Friday that way you’re well rested for a long Saturday. Kojima signing confirmed, but 45 minutes aint enough for that guy so I recommend lining up real early. The only question is will Shinkawa be there too. Any word on showing the conference at theaters across the US? They had PSX in theaters last year. No they didn’t. That was Experience Playstation for E3 which takes place in June. 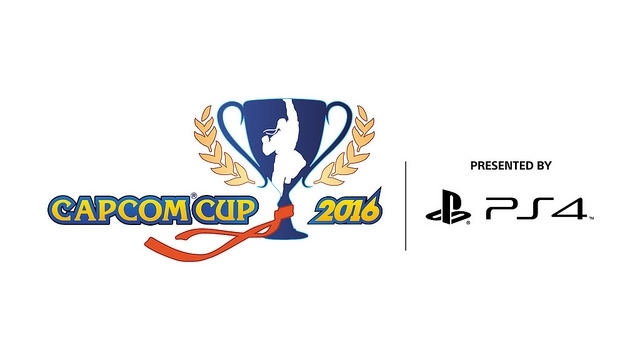 I so hope that Shenmue 3 will be in attendance. It’s like a long forgotten dream coming true and I greatly anticipate continuing the journey of Ryo San. Awesome! I’ll be hitting up Disneyland on Friday if anyone wants to join. I thought Tekken 7 was supposed to be playable? Hopefully PS Vita gets a Sonic Mania port in the near future. Any word on Legend of Raven? Forgotten Memories? Salt and Sanctuary? I really hope one of the unannounced panels will give out more info on Insomniac’s Spider-Man game on PS4. Like what villains it will have? Will it have random crimes/events occurring? Will it have any side-missions? I will certainly like to know more about it. You are not guaranteed seating for the Keynote. How about you bring Playstation Now (for pc) To the rest of the EU! C’mon Sony, you have a couple of TBA guests for the signing but don’t let us know who is there? When are we supposed to know? Also having the app only out Sat doesn’t really give us time to plan. Hopefully it won’t crap out like last year or the situation with cards running out. Even though we’ll probably see ZERO Vita announcements on stage, at least there’s going to be a good selection playable on the floor! Everything looks amazing. I have nothing to complain about here. I’m excited to attend this on my Birthday as a gift from my wife. Oh Ok, available on Sat…. Cut N Play Barbershop on Facebook!! SkyTightGaming on YouTube.com Enjoi!! Can’t wait! Just 3 8 hour shifts until my 4 day mini vacation! Really hoping I get a decent seat in the conference if I line up at 6:30. Just so excited for my first gaming convention. Does the press conference start at 10:00 am? I’m not press, but can I bring a DSLR camera inside? I to would like to know if we can bring DSLR’s or gopros? Any guidelines on cosplay? I was Ratchet and clank last year and would love to bring them back- Clank’s been upgraded considerably and is now an animatronic on my back! Also- how limited is the showcase? Got there around 8ish (AM) last year and had no problem getting a seat. I was kind of wondering that myself. I went to PSX in Vegas and was nowhere near the front of the line, but I still got a pretty good seat at the showcase. Maybe they say that just to hype everyone up. Who knows? I don’t care for the MvC4 rumors. The only thing I’m looking forward to is news on a new PlayStation All-Stars and the Crash Bandicoot games. One year hopefully during my lifetime, PS Experience will be held somewhere near me on the east coast. Spread the love fellas! Is there free parking available for the event? I’ll be heading into town on Friday. Hope to meet a lot of fellow PS fans! There’s a structure for the Convention Center right next to it and a Disneyland parking lot across the street (A little walk but is sometimes cheaper). Sorry, missed the “free” part… so, no. I see Kojima just got added to the panel and meet and greet schedule. If you look at that, the Horizon and Kinda Funny panel/meet and greets, it looks like every panel will be only 45 minutes long. That’s not enough time Sony. Not to mention the Saturday panels have no break between them for the changeover between panels. The only possible explanation I can give is you were only considering the viewing experience of the people watching the panels online and didn’t give any consideration to the people attending them live in person or the panelists themselves. Sony, you need to hire someone who knows what they are doing to run your event, and listen to them. Poach someone from SDCC or Dragon Con or something. Quit making these dumb mistakes already. Man need Kojima Signature now… But the 45 min is pretty short… Hour minimum. So is it ticketed or just wait in a line? I really hope information about Devil May Cry 5 or Death Stranding. CAPCOM and KOJIMA, I already prepared money for these. I’m working those two days, I just want to know if any of those announced panels will be viewable after they’re shown. If it’s like last year, yes. Those are still online even. Was thinking of getting tickets for Sunday. With buying them so late, am I going to miss out on anything? I’m confused… are tickets different from a badge or with every ticket so you get a badge? Help out an uber newb? Buying a ticket lets you pick up a badge. And no, they’re not sold out. Yet. Essentially, your ticket IS your badge (which you’ll have to pick up). If you go on Sunday – as opposed to Saturday – the only thing you’ll miss are things that are scheduled ONLY for that day. How is the meet and greet going to work? Do you need to get a separate ticket somewhere, and if not, how early can we line up for a signing? I thought it’d also be available on the Live Events Viewer. I’m actually really surprised it’s not. Any particular reason for this?